Please note that the Calendar & Events page is currently under construction and will be updated soon. including tuition due dates and holiday closings. The items listed in red are the special events, including holiday parties and fund-raising events. 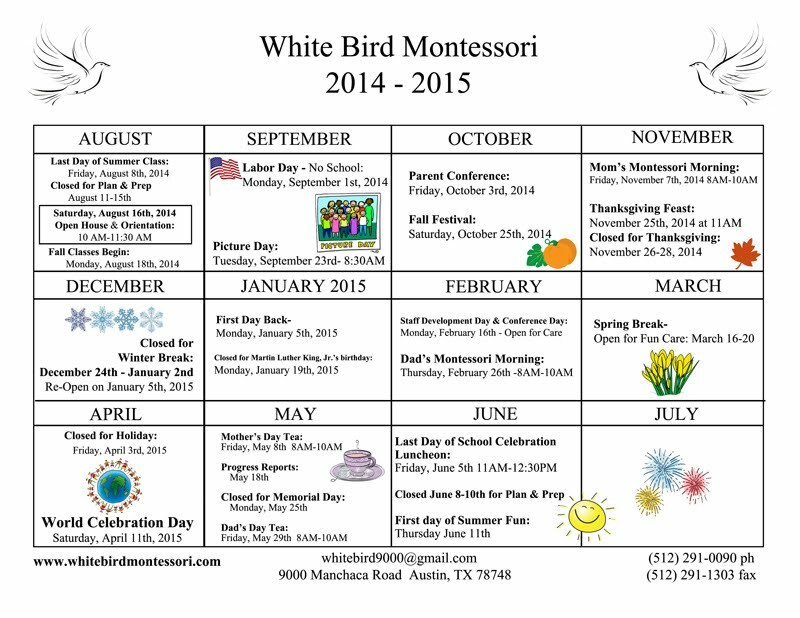 White Bird Montessori School, Inc.